An intimate, everyday perspective on information-seeking behavior, reaching into the social context of American history and American homes. All day, every day, Americans seek information. We research major purchases. We check news and sports. We visit government Web sites for public information and turn to friends for advice about our everyday lives. Although the Internet influences our information-seeking behavior, we gather information from many sources: family and friends, television and radio, books and magazines, experts and community leaders. Patterns of information seeking have evolved throughout American history and are shaped by a number of forces, including war, modern media, the state of the economy, and government regulation. 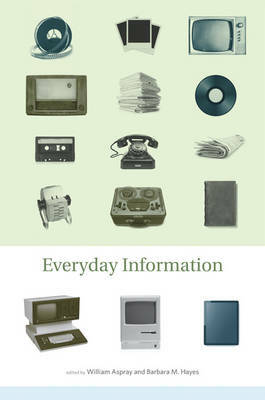 This book examines the evolution of information seeking in nine areas of everyday American life. Chapters offer an information perspective on car buying, from the days of the Model T to the present; philanthropic and charitable activities; airline travel and the complex layers of information available to passengers; genealogy, from the family Bible to Ancestry.com; sports statistics, as well as fantasy sports leagues and their fans' obsession with them; the multimedia universe of gourmet cooking; governmental and publicly available information; reading, sharing, and creating comics; and text messaging among young people as a way to exchange information and manage relationships. Taken together, these case studies provide a fascinating window on the importance of information in the past century of American life.